Diamond weight is expressed in carats (one carat is equal to 200 milligrams). Carats are divided into 100 points so a 0.78 ct diamond is called a 78 pointer. Another term used by diamond professionals is grain. One grain equals 25 points so a one-carat diamond can be called 1ct, or 100 points, or 4 grains. Diamonds that weigh the same may not have the same vertical spread, depending on how they were cut. Those cut too shallow or too deep will look small for their weight and/or have poor light performance. The goal of most cutters is to maximize carat weight from pieces of rough. This means many diamonds are cut too shallow or deep. A diamond’s grading report lists its measurements in millimeters. The first two numbers are minimum and maximum spread; be sure the diamond has appropriate spread for carat weight. Even then one is not assured of the critical angles necessary for high performance. Diamonds cut for the highest level of performance have critical angles and precision-cutting which make the diamond explode with edge-to-edge brightness. Such high performance diamonds appear larger than diamonds of normal cut quality. Only a fraction of the world’s diamonds have such cut quality; they are rare. Bright jewelery store lighting makes most diamonds look good. Diamonds with the most elite level of performance and precision are seen in the American Gem Society ASET® scope (examples below). Such high performance diamonds are not available to most sellers. What should accompany a quality diamond? It takes more time, advanced skills & modern equipment to create these “superideal” high performers. Anyone boasting such a diamond should show valid, scientific verification of that performance. 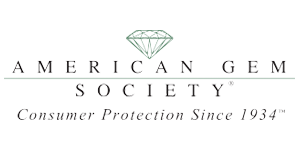 Legitimate proof includes an American Gem Society DQD (Diamond Quality Document) with an Ideal Light Performance grade along with an authentic AGS ASET® Scope image for that specific diamond. 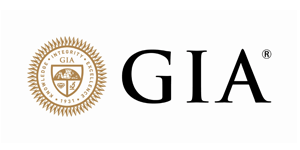 The AGS system is the world’s only 3D diamond evaluation that has been vetted and approved by the science community (The International Society for Optical Engineering). Legitimate proof of cut precision includes actual Hearts & Arrows images showing crisp symmetry for superior contrast and scintillation qualities.